Today, we’re thrilled to announce the addition of Papua New Guinea to our growing network of Flying Labs, with the support of Soli Consultancy and Redwing VTOL. 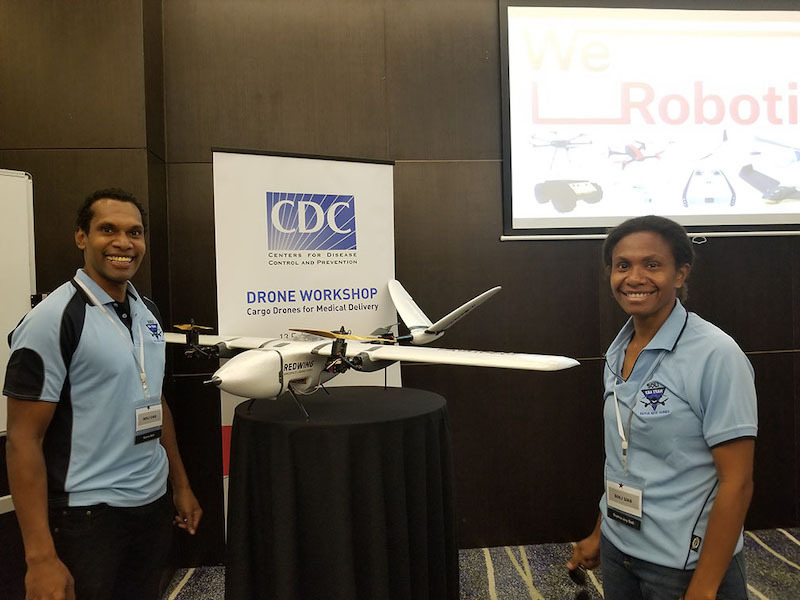 Like all other sister Labs, PNG is working on solving local challenges through the development of local capacity in the use of appropriate technological tools such as unmanned aerial vehicles. Contributing to building local ecosystems and markets, creating new jobs through the use of robotics, associate data products and showcasing local unmanned vehicle expertise. STEAM: After school program for children and youths in learning droning, coding, mapping, analytics, and wellbeing. UAS Training: Learning how to fly a drone and get an Australian drone licence. UAS Delivery: Exploring last mile delivery in the supply chain of health, agriculture, supply chain, and small-volume retail goods. Aerial Mapping: Working in partnership with local drone pilots to conduct aerial mapping solutions for government agencies, land surveys, health, agriculture, and the real estate sectors. Hub for Unmanned Development: Laying the foundation as a hub for all interests in the unmanned vehicle space in Papua New Guinea. Here they envision a space where industry, authorities, entrepreneurs, schools, drone pilots and enthusiasts can all come together to learn, build, garner support from each other and grow. The work of PNG Flying Labs supports the UN Sustainable Development Goals 3 – Good Health and Wellbeing, Goal 8 – Decent Work and Economic Growth, Goal 9 – Industry Innovation and Infrastructure, 10 – Reduced Inequalities. These efforts contribute to the implementation of the PNG Mid Term Development Plan III. Stay tuned for more news on their upcoming projects, including an initiative for women in aviation.